Green is the dominant color in this unique mousse cake by Van Vandy, pastry chef at the luxurious Amansara Hotel Siam Reap (Cambodia). 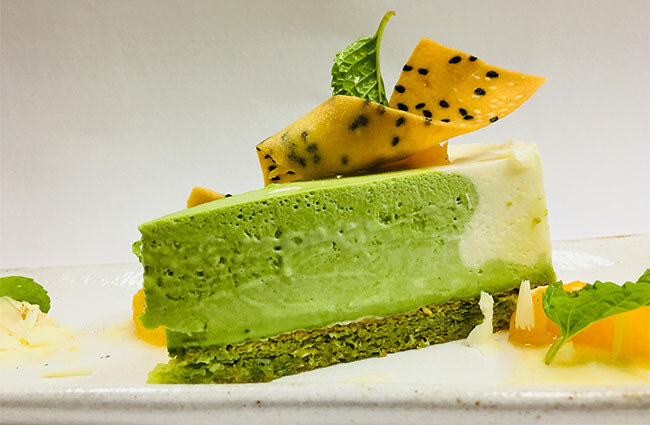 A vibrant hue that the young pastry chef gets by combining matcha tea powder and pandan leaf juice, a tropical plant that grows abundantly in Southeast Asia and adds an interesting vanilla flavor. 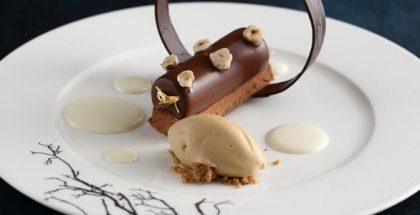 With this dessert, whose recipe we share below, Vandy reveals the richness of Cambodian cuisine, influenced by other cuisines and which is about to blow up soon, as she herself explained to our correspondent Santiago Corral on a recent visit. Combine flour, salt and matcha powder in a bowl. In a separate bowl combine while whisking egg yolks, sugar and oil. Add 20 grams of milk to the egg mixture, then add 20 grams of the flour mixture. Repeat all flour and milk are combined with egg mixture. Whisk egg whites to medium hard peaks and then slowly fold into the cake batter. Pour into a prepared 8’ round cake pan. Bake for 1 hour at 160 degrees Celsius. Heat up milk and sugar, remove from heat and whisk in gelatin and allow to cool. Remove cheese from refrigerator and allow to soften. Cover cheese with cooled milk mixture. Whisk cream to stiff peak and fold into milk-cheese mixture evenly. Separate into 5 bowls, carefully add matcha and pandan juice to 4 of the bowls to make different shades of green, leaving one bowl white colored. Once sponge cake has cooled from baking, place at bottom of plastic wrapped spring form pan. Then pour the prepared mousse in the bowl without matcha powder goes first, fill the entire mousse cake mold then the one with lightest color in next, Slowly and carefully pour from the center. 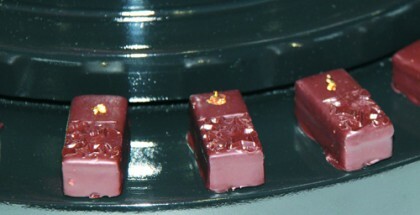 Start pour the other color until the last bowl of the paste with deepest color and least volume. After finish pouring, place in the fridge four hours.